Frederiksberg Municipality’s utility company is the first in the world to use vehicle-to-grid (V2G) chargers for their electric vans as a part of a commercial project. V2G is a type of technology that helps stabilize the power grid during peak loads by using the vans’ batteries as an energy source when not in use. Such two-way charging is useful in the early evening when local demand for electricity is at its highest. By using the vans, which are parked up and plugged in at this time as a source of electricity, the demand on polluting fossil fuel power plants is reduced, thereby reducing carbon emissions. The company can also generate revenue from electricity sold back to the grid by charging up at times when prices are low, and discharging when prices are high. Frederiksberg Forsyning is the first company in the world to supply power back to the grid with its fleet of electric vans. Energy storage is a major challenge in Denmark. Electric vehicles could be an important component in the transition from fossil fuels to renewable energy. The project, in collaboration with Nissan, Enel and Nuvve, will contribute to the municipality’s goal of halving CO2 emissions between 2005 and 2020. As the world’s first project of its kind, it will be important to learn lessons about the efficiency of constantly charging and discharging batteries, in order to improve this technology in the future. The transition to electric vans reduces the use of fossil fuels and improves air quality thanks to reduced emissions of NOx, SO2 and PM2.5. Improving the capacity of energy storage is a major enabling factor in the transition to renewable energy. This V2G project could play a role in accelerating this transition. 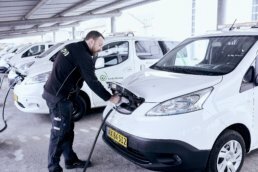 By showing the world both the environmen- tal and economic benefits of a fleet of electric vehicles with V2G chargers, the municipality can inspire others to switch to climate-friendly vehicles. 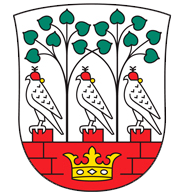 Frederiksberg is an independent municipality within the capital of Denmark.